We're giving away up to 1,000 miles of fuel with many of our car & van deals. When you order one of our special free-fuel deals, we'll send you a fuel card shortly after your new car or van has been delivered, pre-loaded with up to 1,000 miles worth of fuel. We have already given away enough FREE FUEL to circumnavigate the globe 25 times. We'll also top up your fuel card with another £50 of fuel for every new customer you recommend to XLCR. Make sure they quote your name and customer number when they order, and once they've taken delivery of their new car or van, we'll credit you with your £50 of extra fuel. There's no limit to the number of friends you can recommend! Received your card? Activate it here. Please enter the card number without spaces (the long card number across the middle of the card) and your customer number (printed on the accompanying letter) to activate your fuel card before you use it for the first time. The not so small 'small print'. The free fuel offer is available on selected car & van deals, and is open to both new and existing customers of XLCR Vehicle Management Ltd.
Each eligible deal will specify the number of miles of free fuel. We use the published fuel consumption and average national fuel price to calculate the monetary value of the fuel offered. The final monetary amount may be subject to rounding. 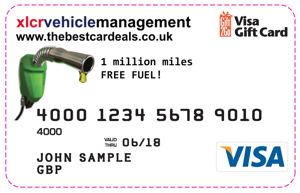 Fuel cards will only be dispatched once the vehicle has been delivered and all delivery paperwork has been processed. This offer is open for vehicles ordered up to 31 December 2019, or once we have given away 1 million miles of free fuel, whichever is the sooner. Vehicles ordered before the offer closes will be eligible for the offer even if they are delivered after the offer has closed. 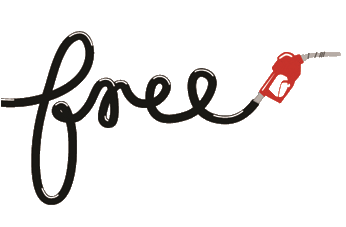 You will receive an additional £50 ("£50 top-up") of free fuel for every new customer you recommended to us. This will be processed once the new customer's vehicle has been delivered and all delivery paperwork has been processed. Only one £50 top-up will be paid per new customer, regardless of the number of vehicles they order. However, there is no limit to the number of customers you can recommend, and you will receive a £50 top-up for each new customer you recommend who orders during the offer period. To receive your £50 top-up, the new customer you recommend must quote your name and customer number when they order.